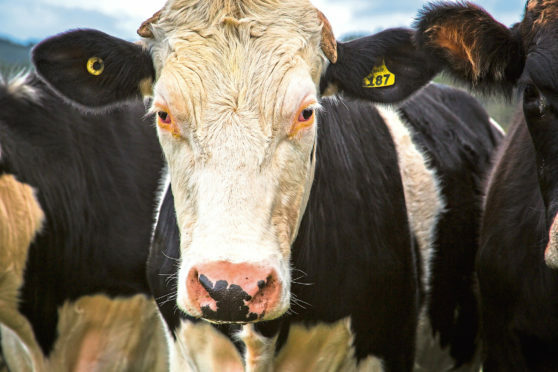 Increased volumes have lowered prime cattle prices in the UK. Prime cattle prices in the UK are lower compared to markets in the EU as British abattoirs processed increased volumes of beef in recent months. A report shows UK prices have fallen 12% year-on-year – the highest among major producing countries in the bloc. However, analysis by Quality Meat Scotland (QMS) has confirmed there has been a “modest” recovery in the last few weeks. Prices are more than 7% lower in Ireland, Germany and Spain. But in France, prices are only 0.5% lower than a year ago. Stuart Ashworth, QMS director of economics services, said recent price rises were in line with trends at this time of year and could be boosted further as prime stock supplies are expected to continue tightening. He said: “The first indication of some strengthening in farmgate price has occurred some three weeks ahead of Easter. This may indicate some confidence in consumer demand for the Easter weekend, although other factors may be starting to have an impact. He added: “As we move through April BCMS data suggests that prime cattle supplies are likely to continue to tighten slowly. Across Europe as a whole, the European Commission forecasts beef production to fall by just over 1% in 2019.” UK abattoirs handled 3% more prime cattle in February compared to a year earlier. These cattle also produced carcases that were typically 4kg, nearly 1%, heavier – significantly increasing the volume of beef on the market. Mr Ashworth added that growth in slaughter numbers was “almost entirely” due to increased prime heifer slaughterings. This, added to the high level of cow slaughterings during 2018, was “not a positive indicator for future breeding herd size”.